You are here: Home / On Board / How Do Patients and Colleagues Know I’m Board Certified? How Do Patients and Colleagues Know I’m Board Certified? Board Certification is a credential that is recognized by patients, employers, credentialing agencies, third party payers and the federal government. Now that you have put in the hard work and earned this valued credential, where can people find this information and how can it be used in your practice? Becoming a Diplomate in the American Board of Optometry is an achievement to be proud of and is an important piece of information for patients as well as associates and business affiliates to know. There are many ways that you as a provider can communicate your Board Certification, but did you know that ABO also works on your behalf to ensure your status as a Diplomate is available to both the public and the profession? Here is an overview of the ways in which ABO works to confirm your Diplomate status as well as tips for promoting your board certification through your practice. Doctor Locator: The ABO website, americanboardofoptometry.org, receives up to 100 search requests per day for Board Certified optometrists. It is available for public use and the search can be completed using address, zip code only, physician name, or state. 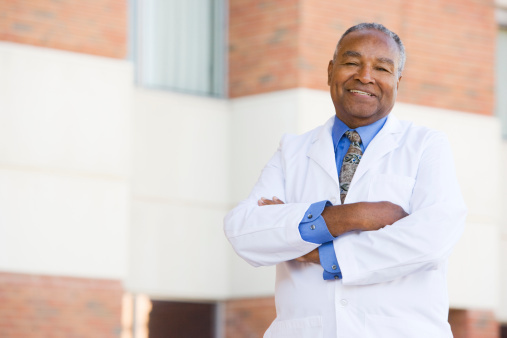 As a Diplomate, you can provide information to include in the doctor locator such as practice name, phone number, professional affiliations, website and a photo. The doctor locator can also list multiple practice locations for individual physicians and provides directions for each location via Google Maps. Physician Search Sites: ABO provides Diplomate information to several leading physician search sites including Healthgrades and Physician Compare. Healthgrades is the leading online resource for information about physicians and healthcare organizations. 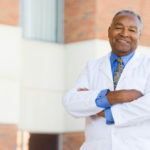 More than one million people a day utilize Healthgrades to research and connect with physicians and Board Certification is one of the top search criteria utilized by patients. Physician Compare is a CMS managed website where patients can search for physicians and other health professionals enrolled as Medicare providers. CMS defines board certified physicians as experts in a specialty who have completed extra education and passed a test to become board certified. Verifications: Requests for verification are submitted to ABO daily and come from employers, third-party payers and credentialing organizations. When completing a verification, ABO provides the requesting party with confirmation of Diplomate status including name, Diplomate ID, MOC status, exam date and certification period. CAQH: When updating or creating your provider profile on CAQH you may now indicate your status as Board Certified and choose American Board of Optometry as the certifying organization. Practice or Employer Website: Diplomate status with the American Board of Optometry can be added to your website or an individual profile page on an employer’s website. ABO will be happy to provide you with logo and wording options, just send us a quick email request at info@abopt.org or call 314-983-4226. Marketing Materials – Diplomates can also add board certification to all business cards, letterhead, email templates and other marketing and communication materials. Simply contact us using the information above and ABO will provide several graphic file options for your printing needs.